For me, this book is simultaneously insightful and nostalgic. I grew up playing games like "Where In The World is Carmen Sandiego", "The Castle of Dr. Brain", and "SimCity", so Ito's ethnographic coverage of kids at an after-school program who played such games reminded me of my own childhood, as viewed through the lens of a cultural anthropologist. For instance, while using SimCity's disasters to decimate a city was something I used to do as a kid, I'd always assumed it was a "bad" use of the game, but Ito actually interprets such actions in an entirely different way. The book doesn't just look at how kids play these games, though. 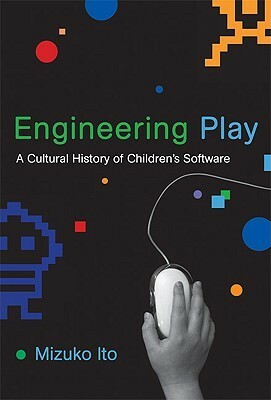 It also examines, for instance, how the marketing of some of these games mobilized middle-class parental anxieties about achievement, or how the entrepreneurs who started educational game companies soon found themselves to be victims of their own success. Or how the entrenched agendas of educational institutions can sometimes work against learning instead of fostering it. The only thing I didn't like about the book is that because it's written for researchers, it can be a bit jargony at times. For instance, the first 20 pages or so are dedicated to explaining research methodology and what makes it different from other books in the field, which I wasn't terribly concerned with. Ultimately, though, this book was a pleasure to read, and was complex enough to warrant multiple readings. What's covered in here would probably be useful for parents, educators, game developers, entrepreneurs, cultural anthropologists, marketers, and anyone who, like me, once played these games as a kid.